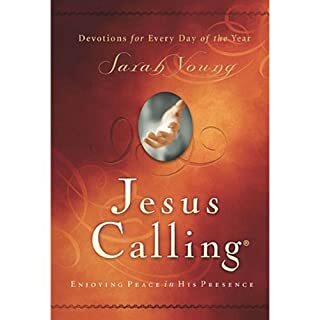 Jesus Calling is a devotional filled with uniquely inspired treasures from heaven for every day of the year. After many years of writing in her prayer journal, missionary Sarah Young decided to “listen” to God with pen in hand, writing down whatever she believed He was saying to her. It was awkward at first, but gradually her journaling changed from monologue to dialogue. Loved this devotional! Daily dose of hope, inspiration, and wisdom. Moments to slow down from the busyness of life. 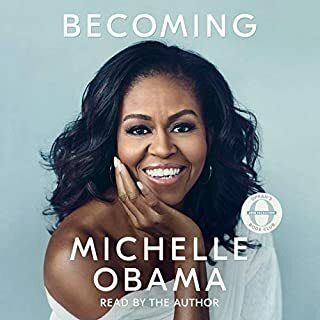 I truly enjoyed this eye-opening look into the life of our First Lady. Michelle is like a cousin that you meet at the family reunion. Her open, direct, honest reflection pulls back the curtain to view the cost of being the first family. Love this book. It is clear, concise application to improve the quality of life. Stop over extending yourself, feeling stressed and keep life simple. If God can take David - the invisible eighth son of a forgotten family - and turn him into a king, just imagine what magnificent plans he has for redeeming your life. David was born a number eight - a hidden gem, often overlooked and undervalued by everyone except for God. For David, being a number eight seemed like a curse until the day God transformed him from the unknown eighth son of Jesse into the much-honored king of Israel. Am a Eight & Great! Listening gave me hope. I will share it with my sons & grandsons. Hope for us all. 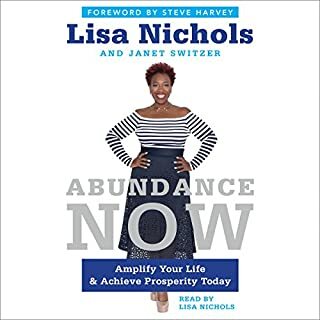 New York Times best-selling author, personal transformation guru, and life coach for the Steve Harvey Show and Today Lisa Nichols shares her journey from scarcity to abundance, outlining steps everyone can take to create abundance in career, relationships, self, and finances - while creating a legacy for others to follow. 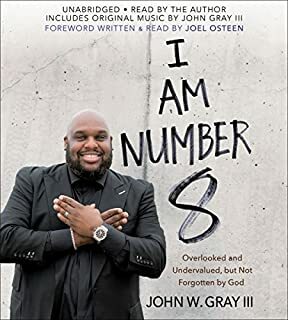 With a foreword by Steve Harvey. WOW! Inspiring to learn how to create the life. Loved it! The principles were easy to understand. We had the pen in our hands and we control the narrative. Packed with unforgettable examples, pointers, and sparkplugs for ideas that work uniquely for you, Why Not You? 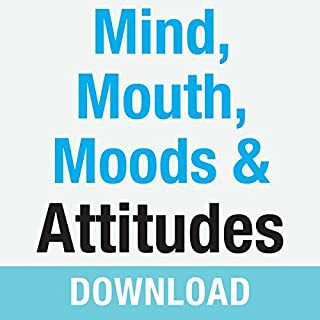 reveals the secrets to building authentic personal confidence from the inside-out. Whatever your goal or your starting point, Valorie Burton equips you with proven experience to take the next steps to advance your career, finances, and relationships. You will learn the basics building blocks for authentic confidence. Get ready to see yourself in a different light. Do you have mood swings you'd like to keep still? Are you tired of saying negative things that are harmful to others? With God's help and your cooperation, this can all change. These messages will help you: Get rid of wrong thoughts and purposely think right ones. Control your words to generate positive results. Develop emotional stability in the midst of difficulty. Joyce give practical application of how The Bible reveals how we should look at life. 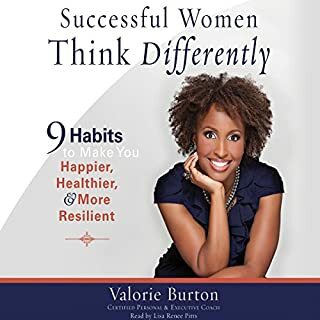 Popular author and professional certified coach Valorie Burton knows that successful women think differently. They make decisions differently. They set goals differently and bounce back from failure differently. Valorie is dedicated to help women create new thought processes that empower them to succeed in their relationships, finances, work, health, and spiritual life. 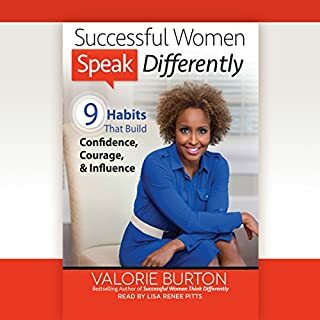 In this powerful and practical guide, Valorie provides a woman with insight into who she really is and gives her the tools, knowledge, and understanding to succeed. There is a tiny switch in the back of your mind that tells you that you do not deserve healthy relationships, a career you enjoy & a life you love. Valorie will flip that switch and change your view point. Love it! The most successful women are often not the most talented, the most gifted, or even the most experienced. What these women have is a knack for communicating that opens doors and gives them influence. 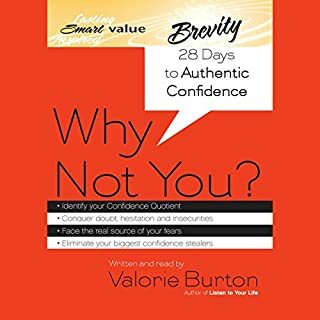 Gleaning from powerful research, best-selling author and life strategist Valorie Burton unearths practical insights you can put to work in your life immediately. If you have been struggling to find your true voice & build solid relationships, read this book. This is an excellent personal development tool to challenge and stretch you. Get ready to meet your best self, authentic self! 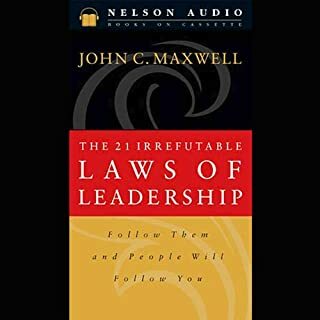 John C. Maxwell combines insights from 30-plus years of leadership with observations from business, politics, sports, religion, and military conflict to bring you a revealing study of the laws of leadership that govern your personal and organizational effectiveness. Loved it! I never thought I was a leader. John Maxwell insightful look at leadership revealed so much to me. I never saw myself as a leader or person of influence because I didn't have the right job title. 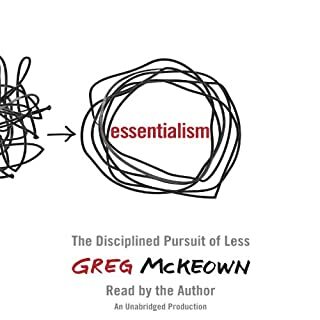 This book has challenged my thoughts, made me uncomfortable, expand my vision and help me create my personal development plan. Am a leader in my home, church, and Community!